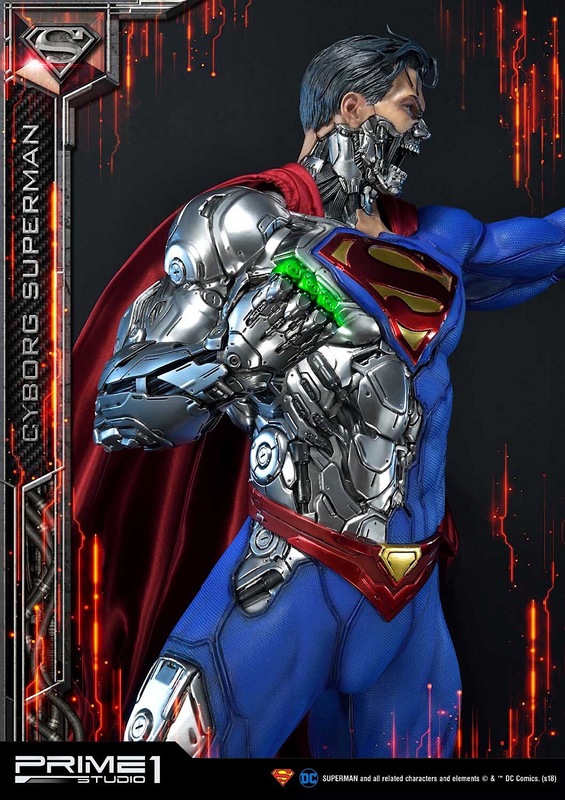 Prime 1 Studio is excited to announce the 1:3 scale MMDC-32: Cyborg Superman (DC Comics) as a new addition to your Anti-Superman line. 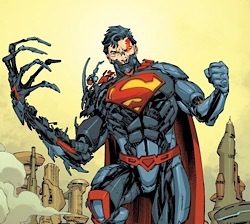 He is a persona that has been used by two fictional characters in the DC Universe, both of which are supervillains that appear in comic books published by DC Comics. 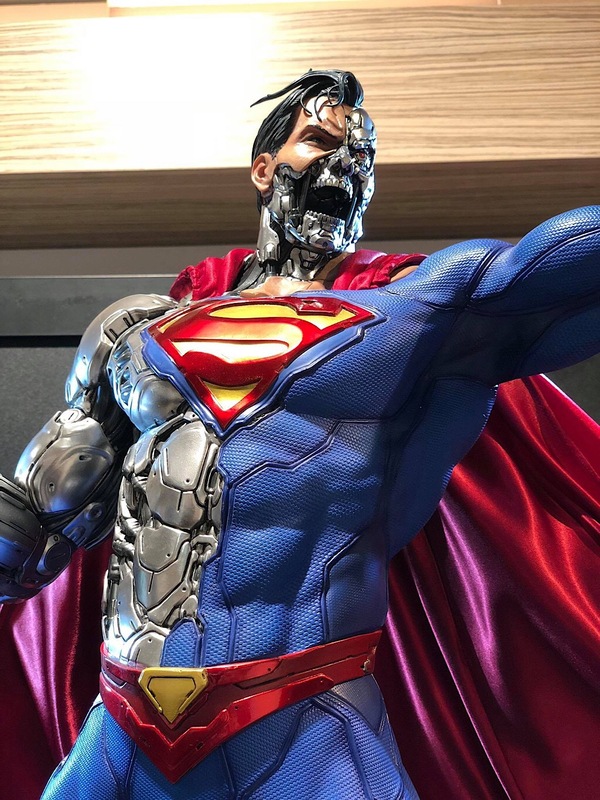 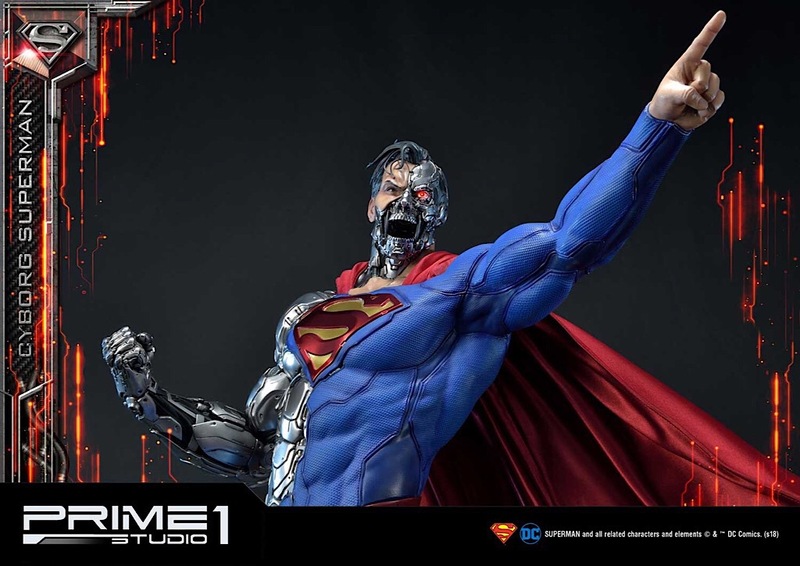 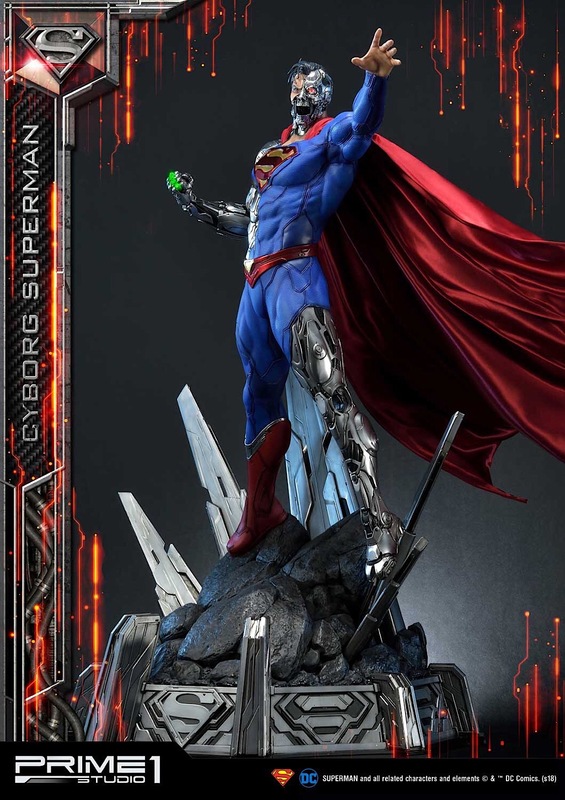 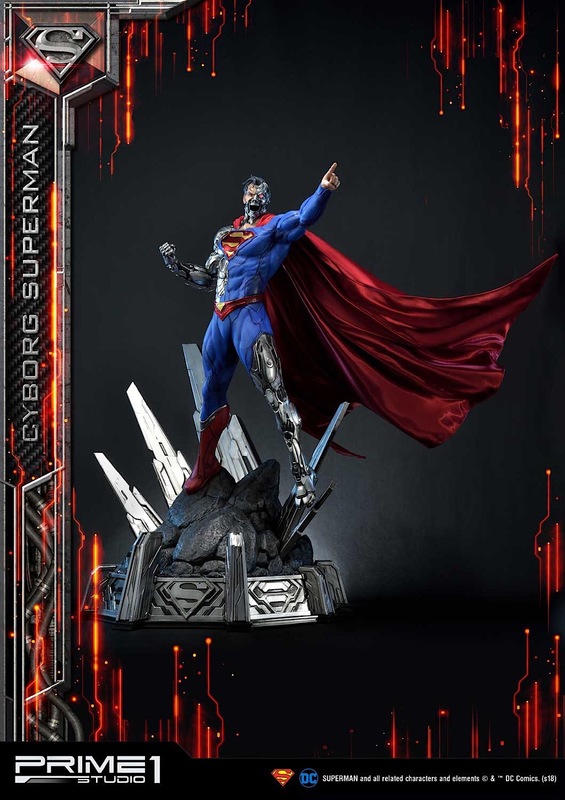 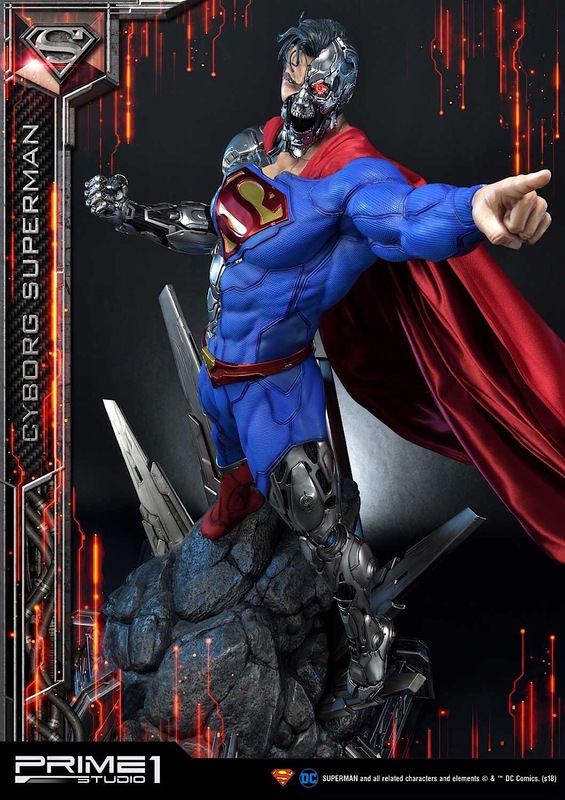 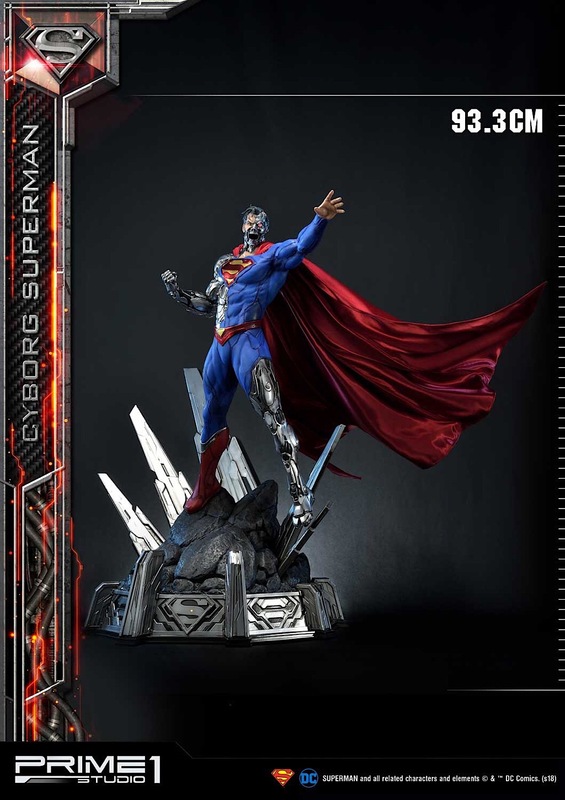 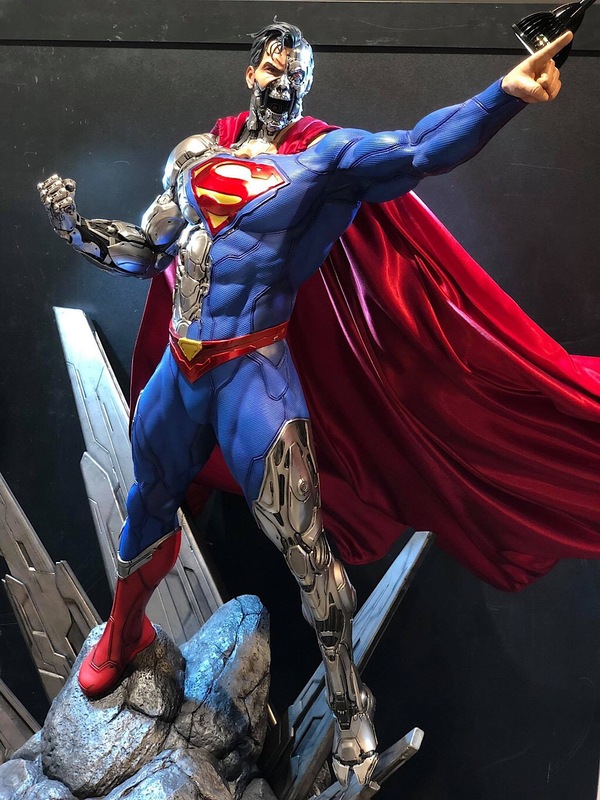 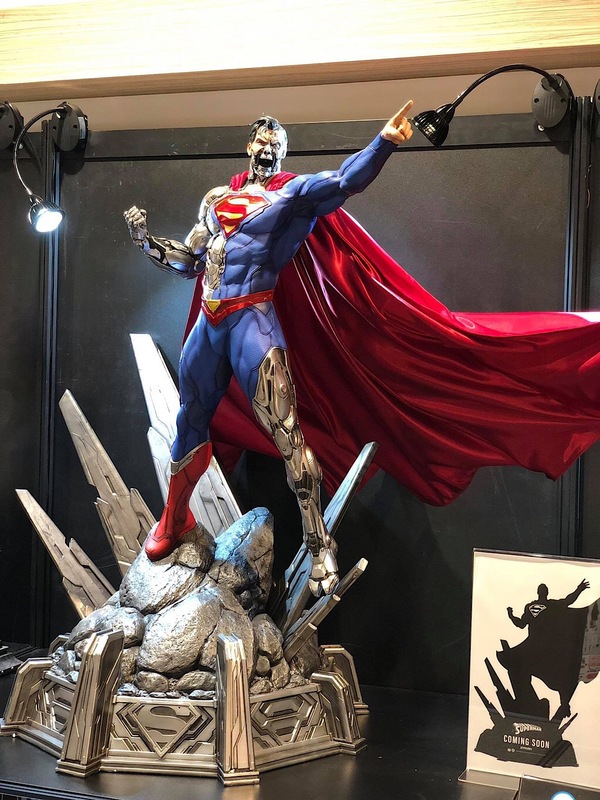 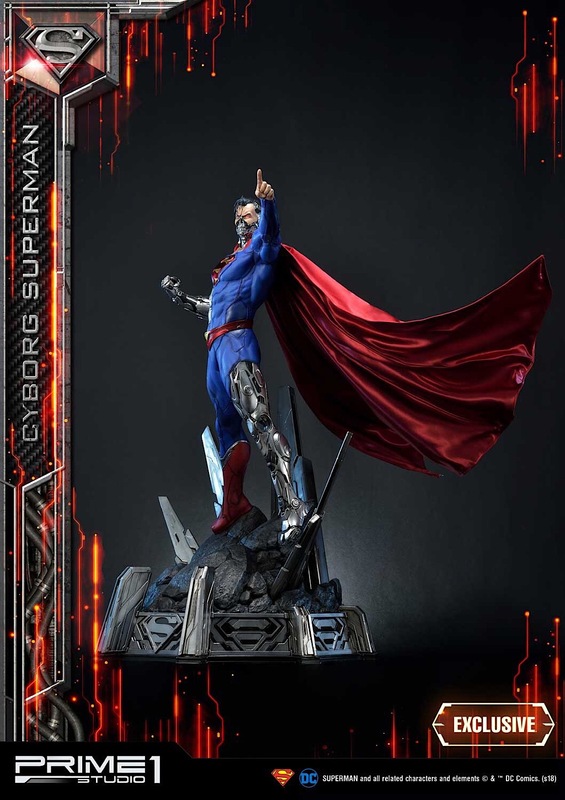 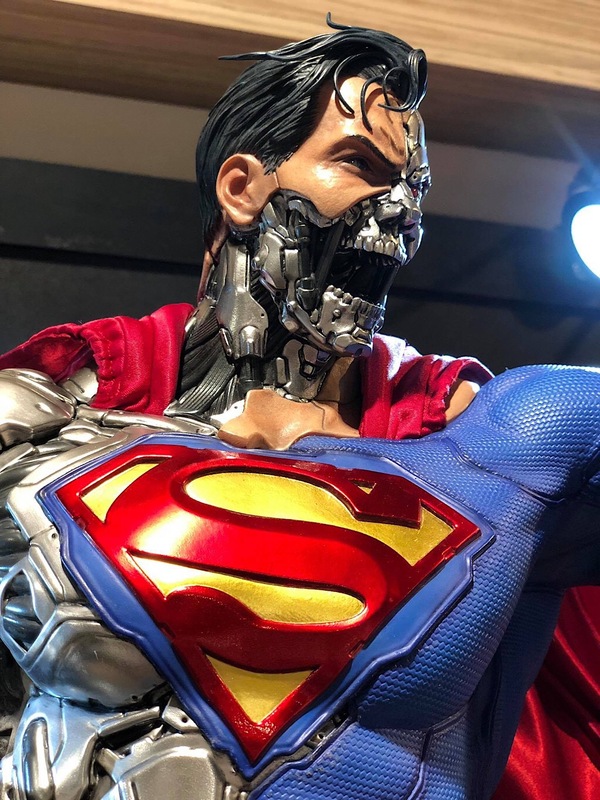 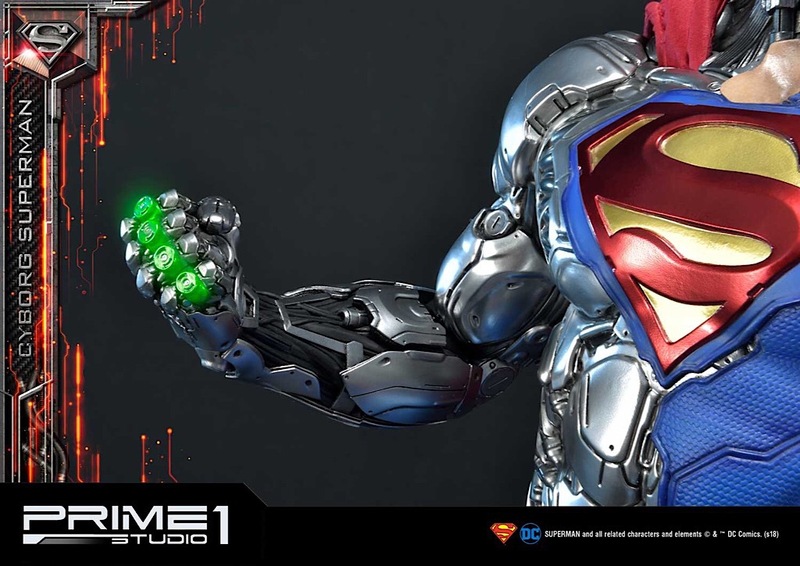 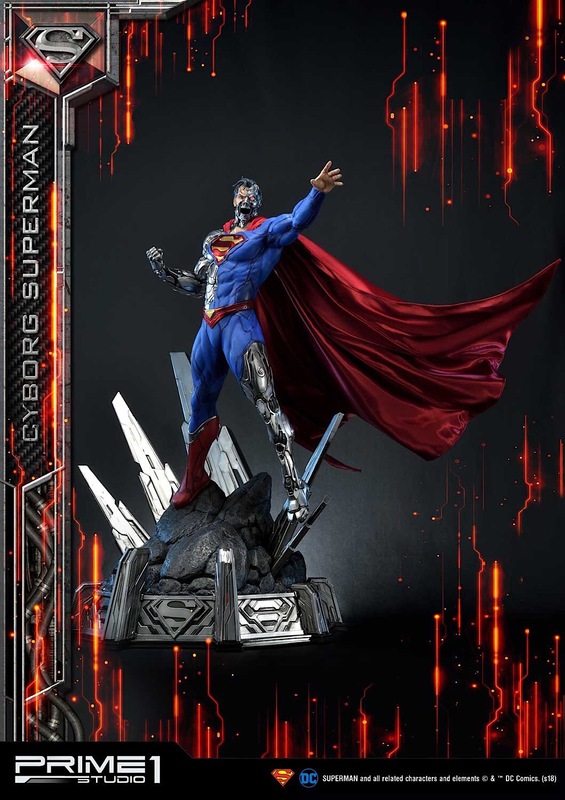 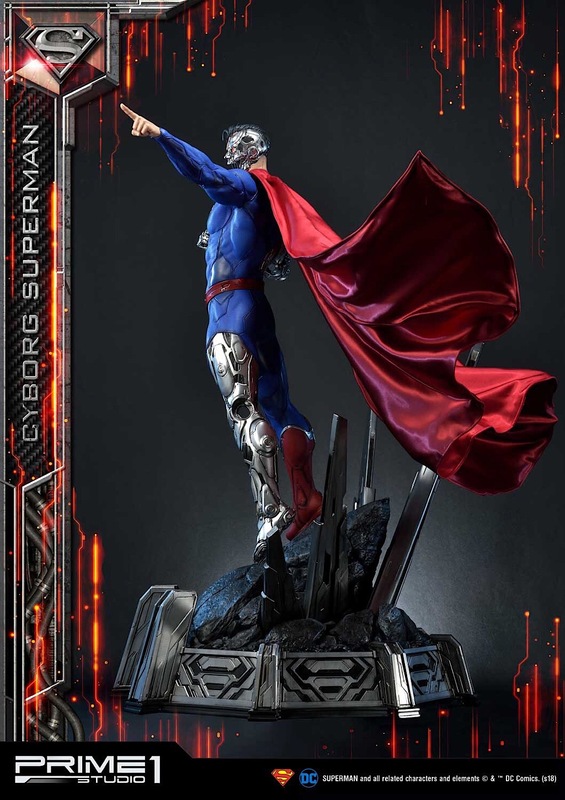 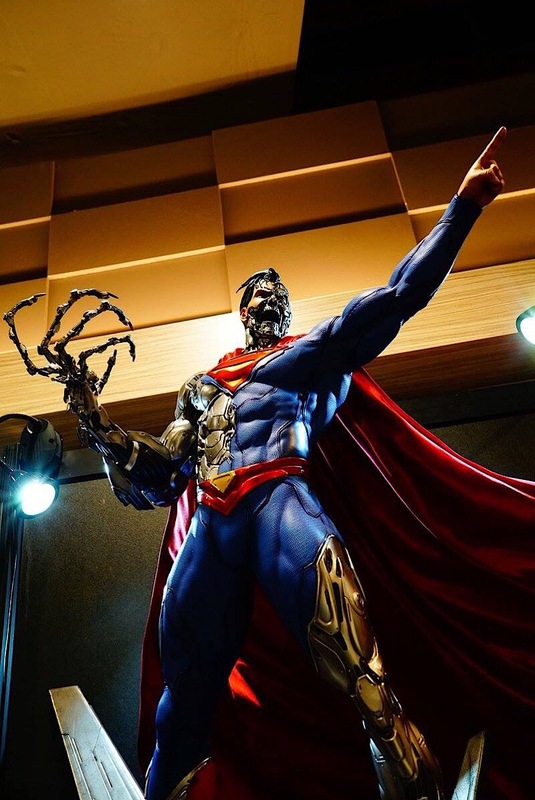 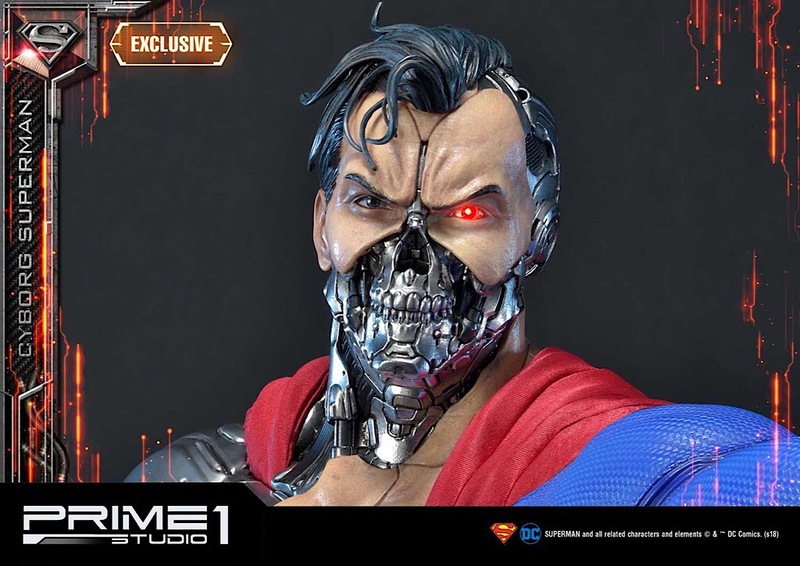 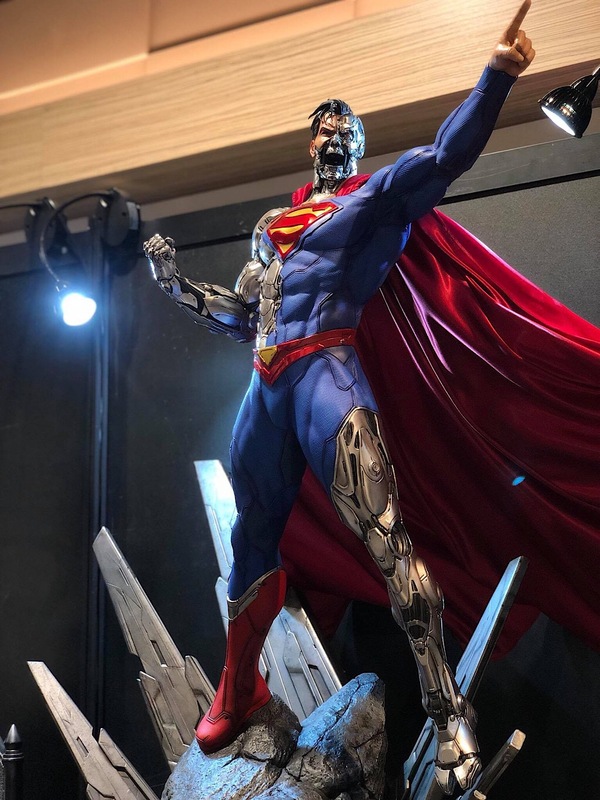 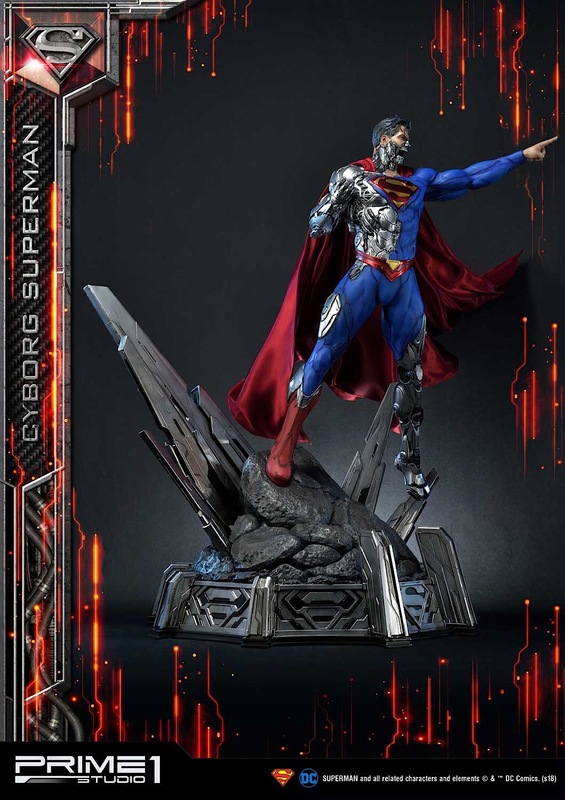 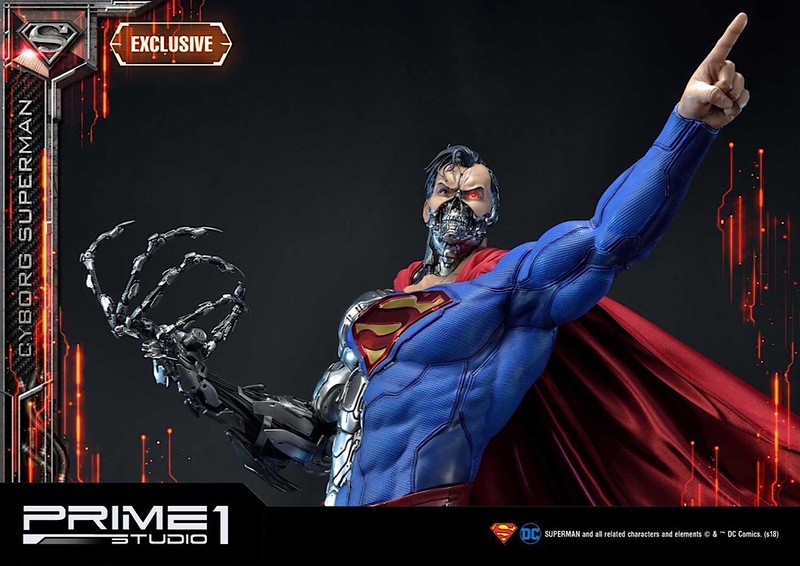 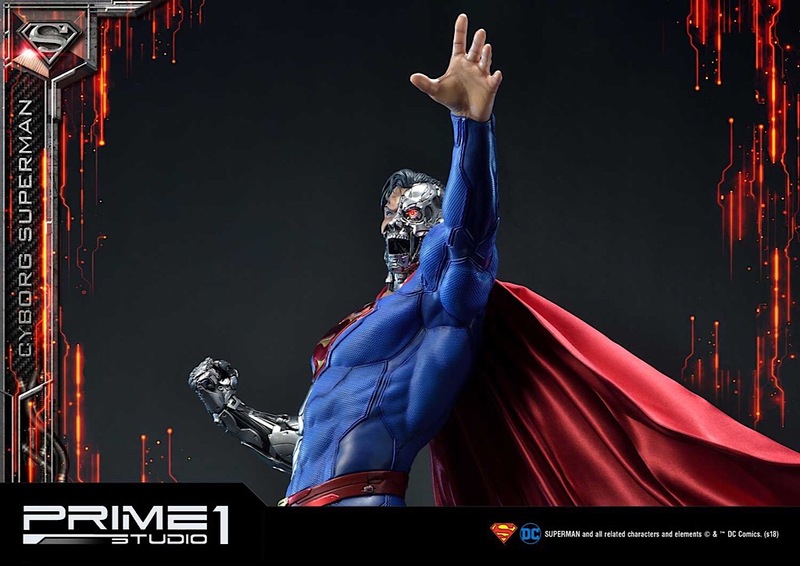 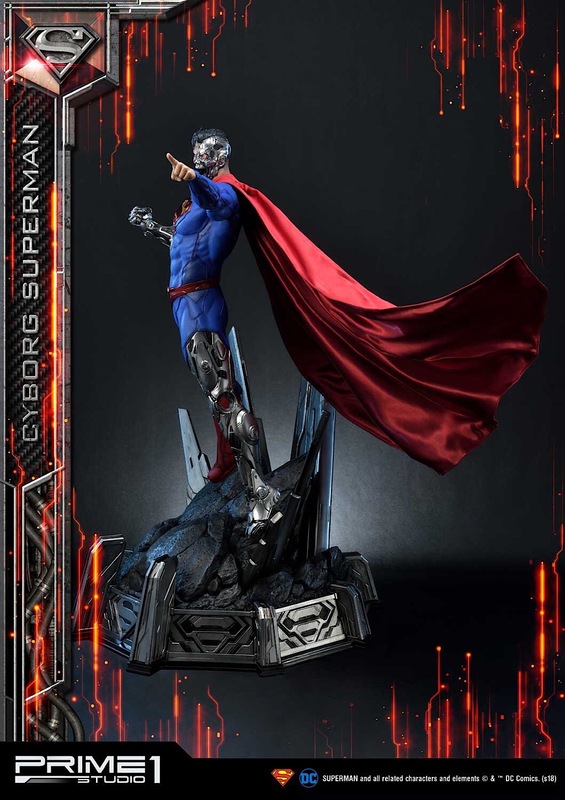 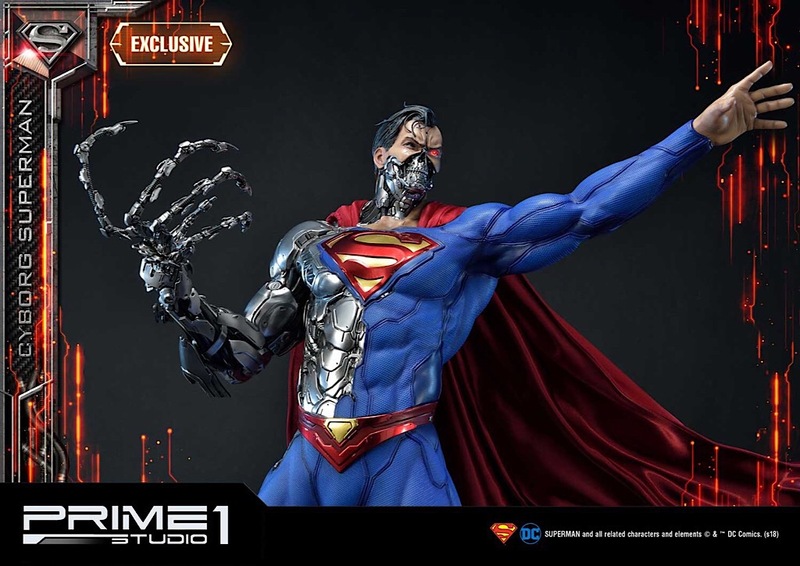 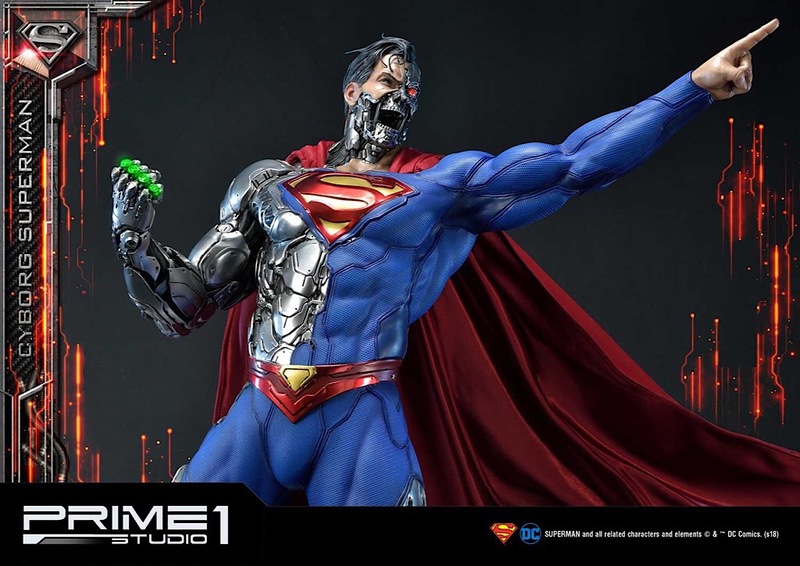 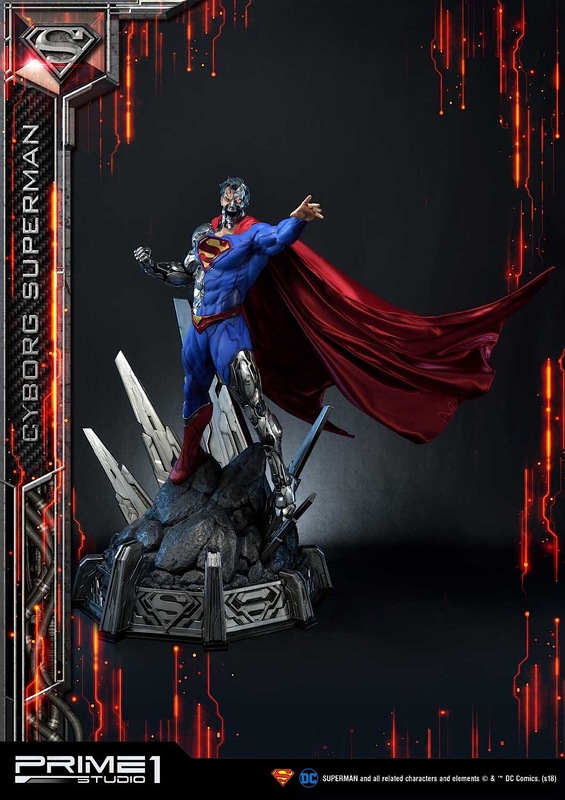 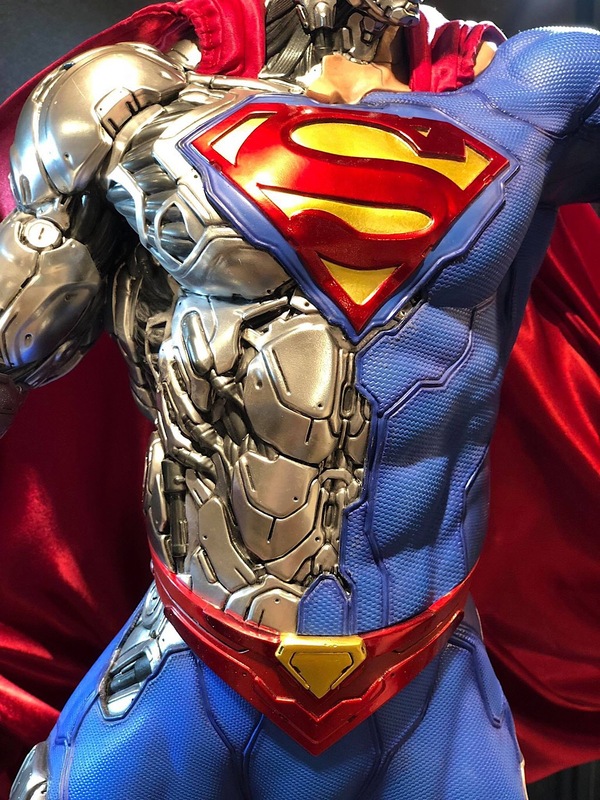 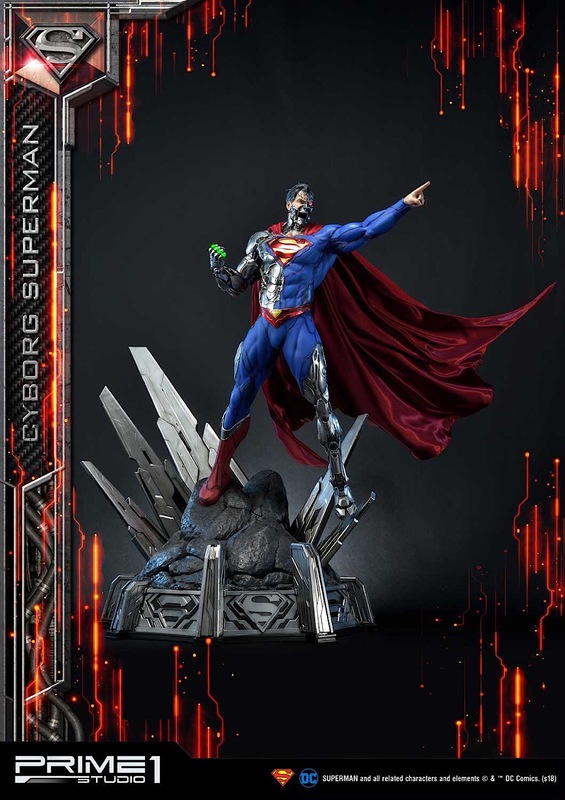 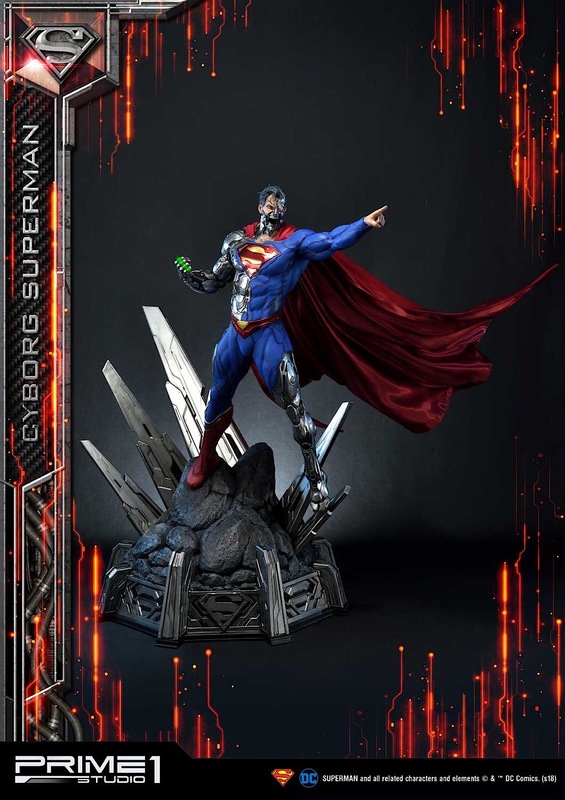 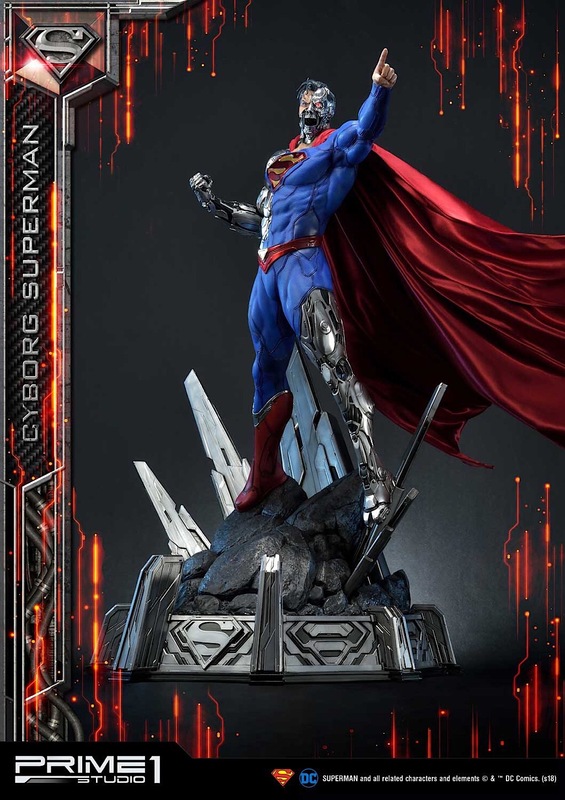 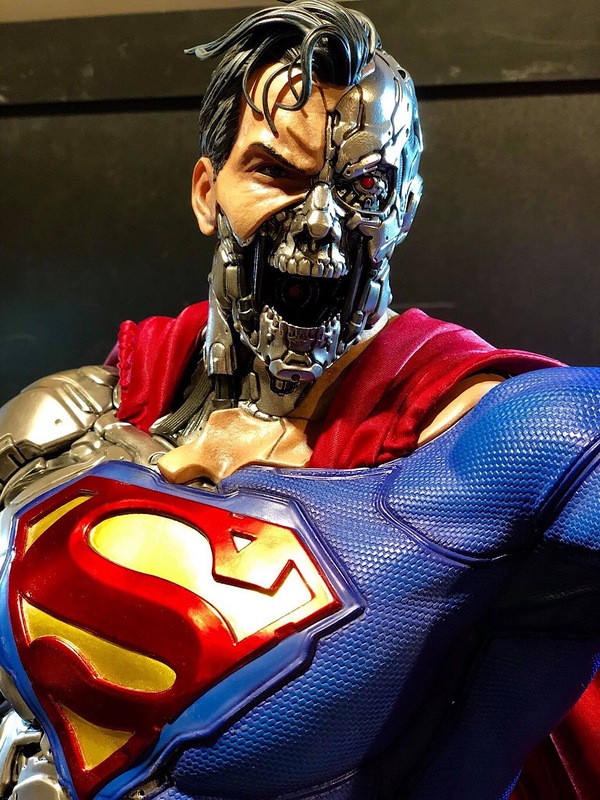 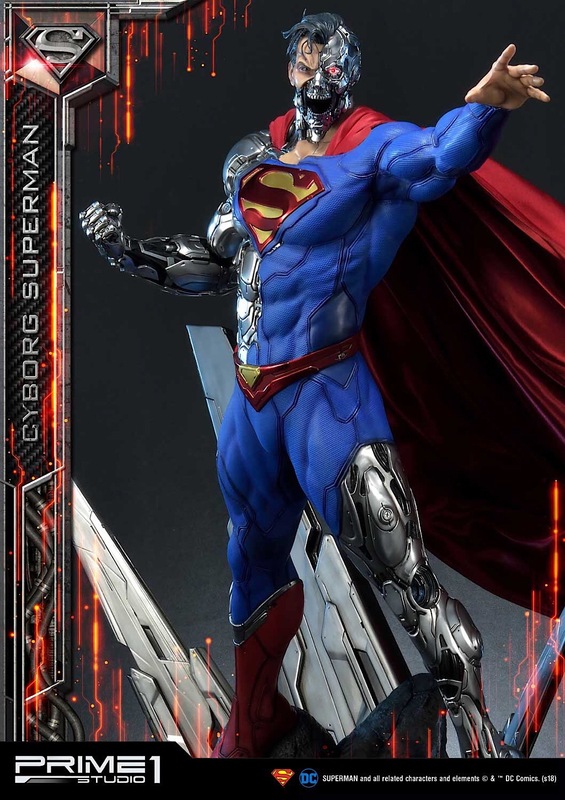 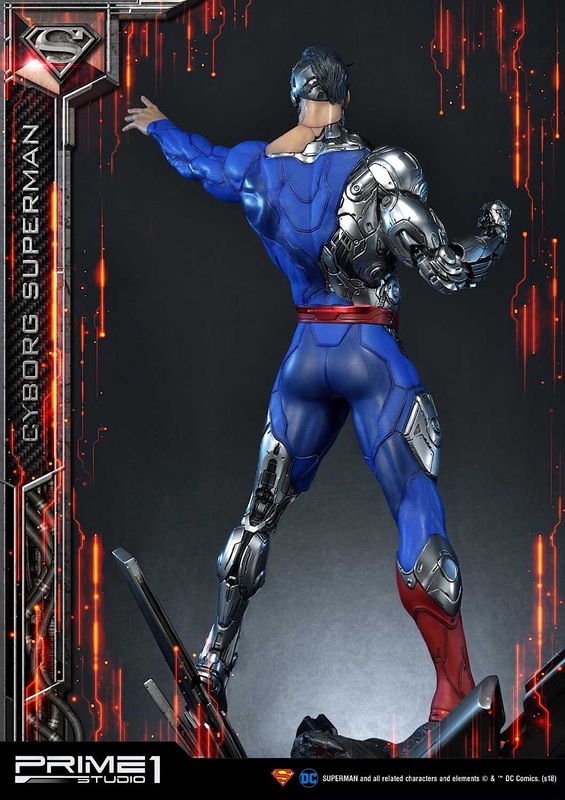 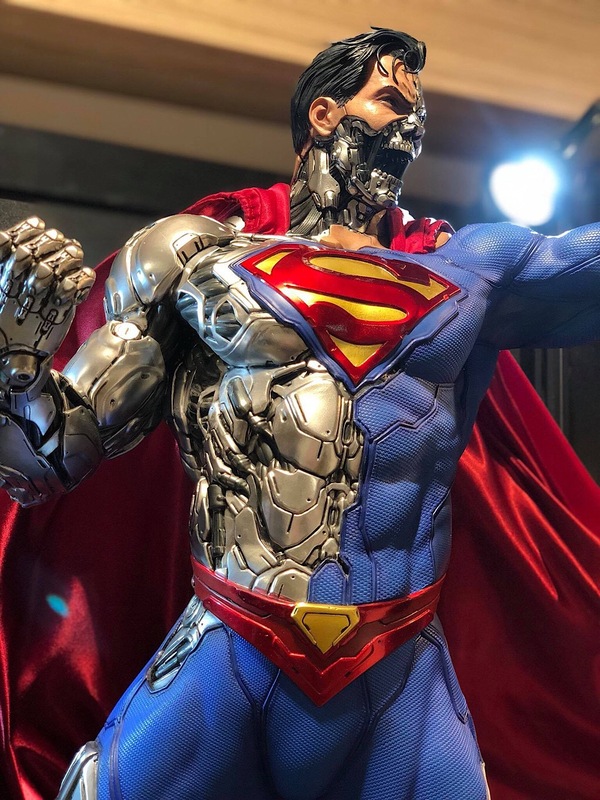 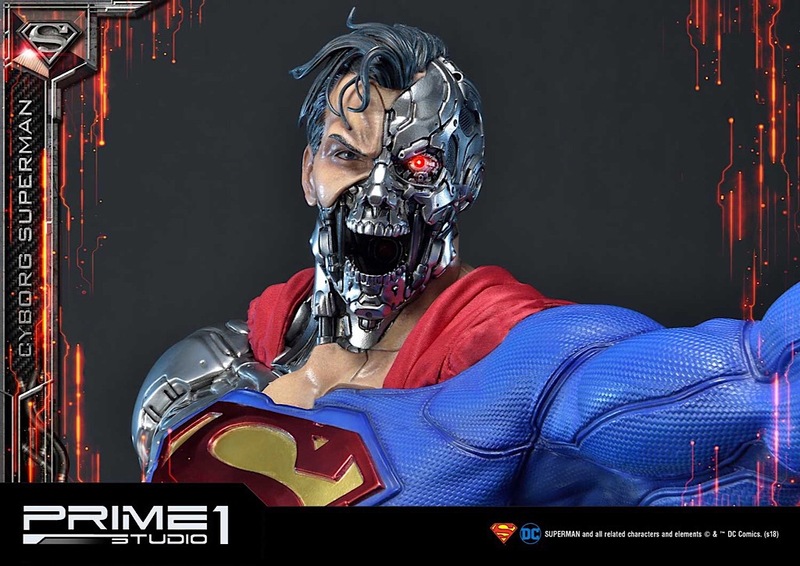 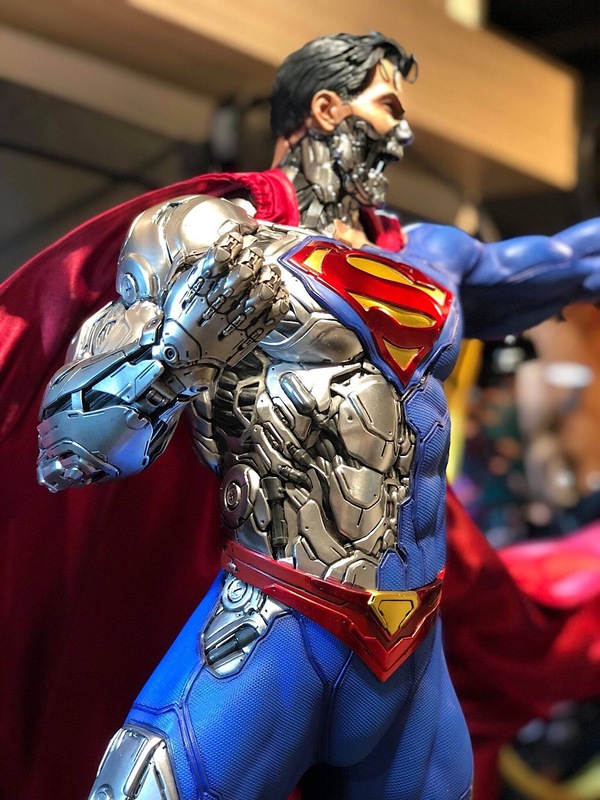 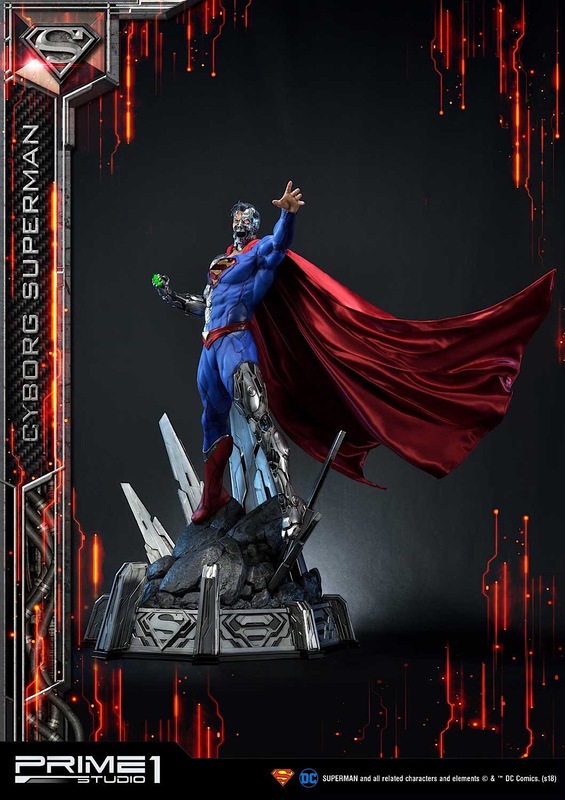 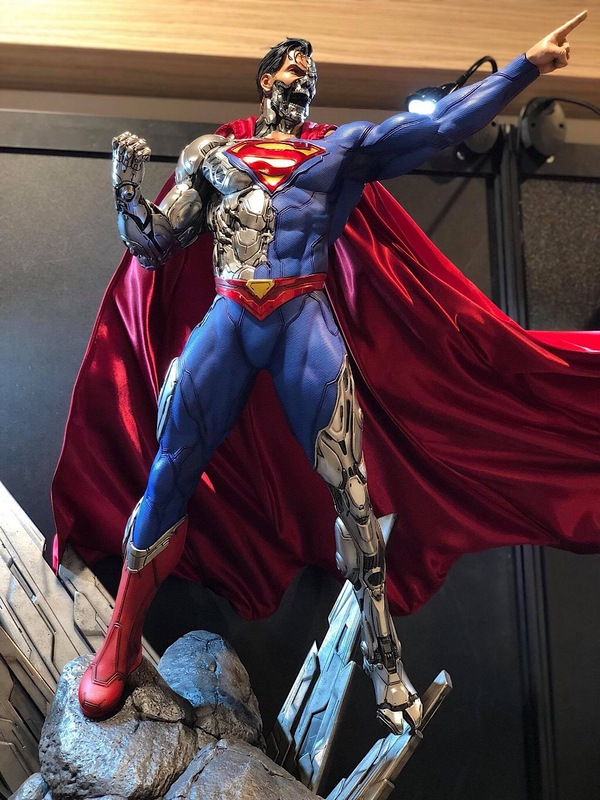 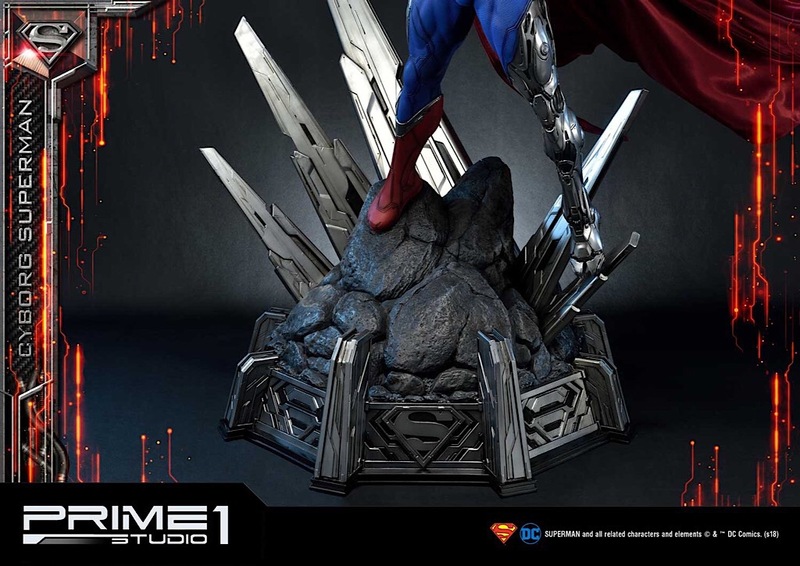 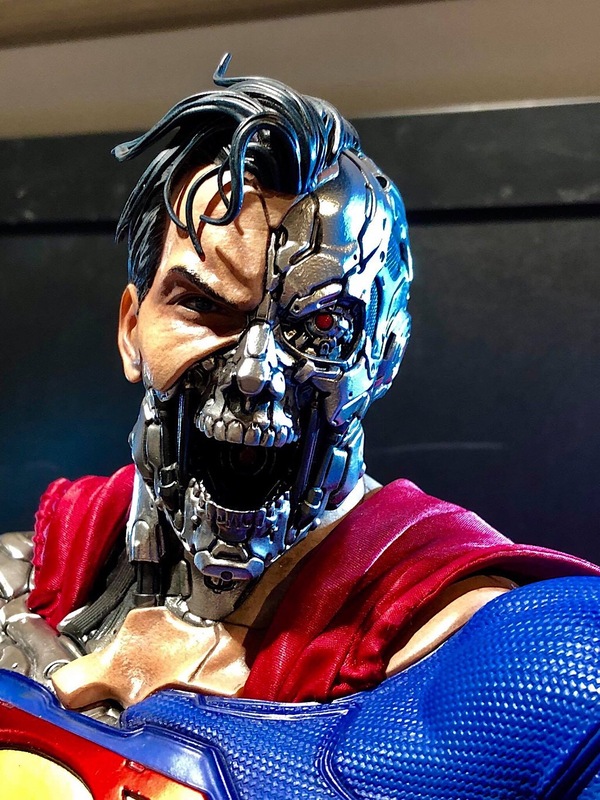 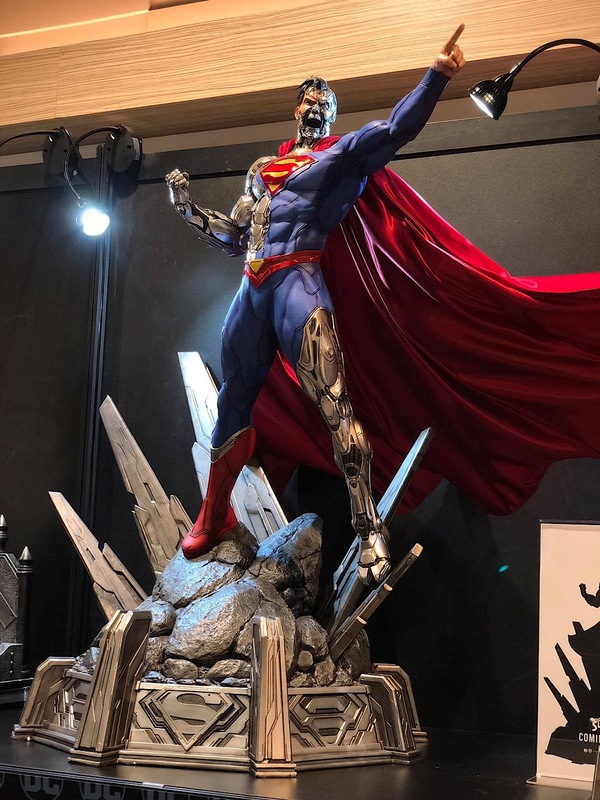 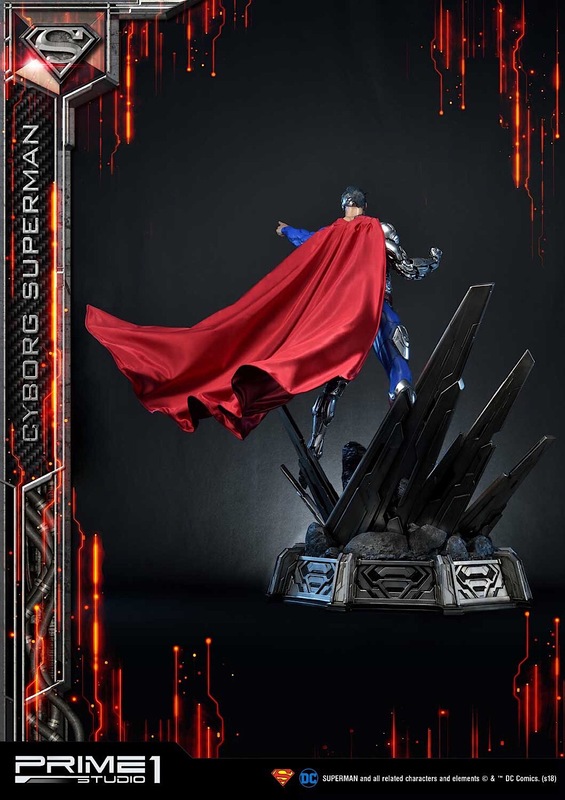 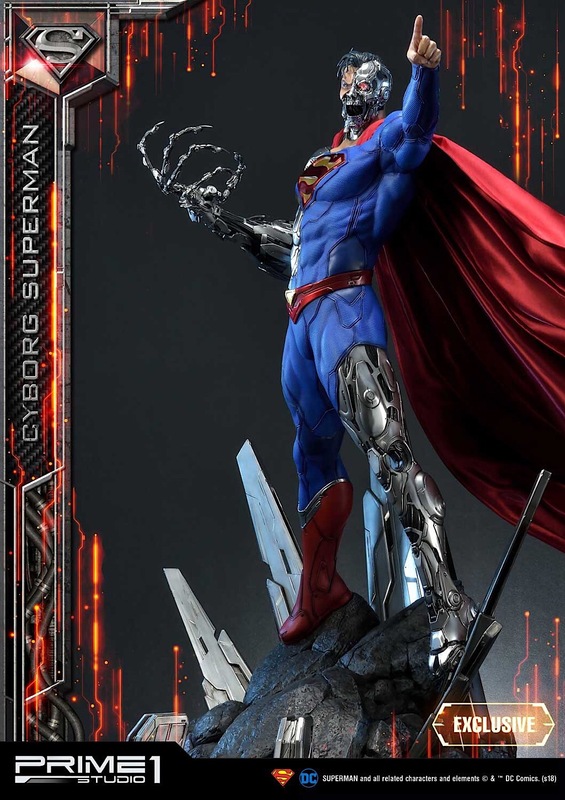 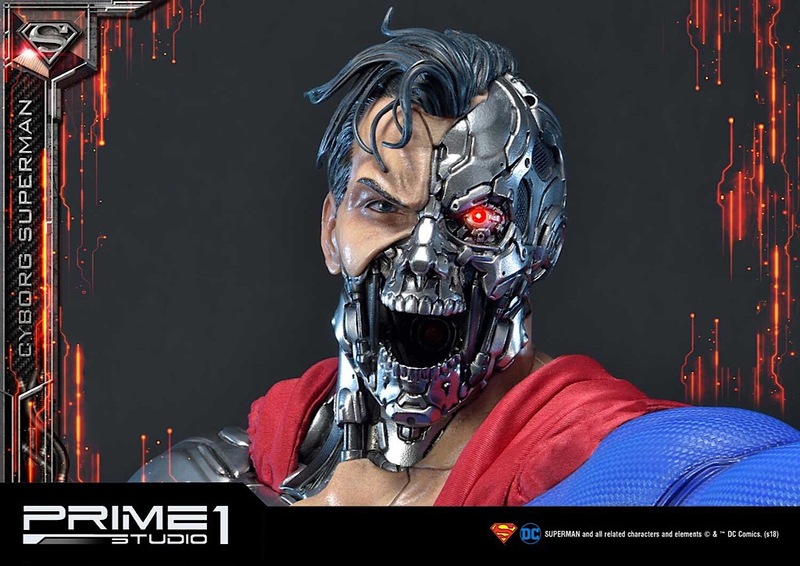 Cyborg Superman statue is sophisticatedly crafted based on various well-known DC Comics illustrations. 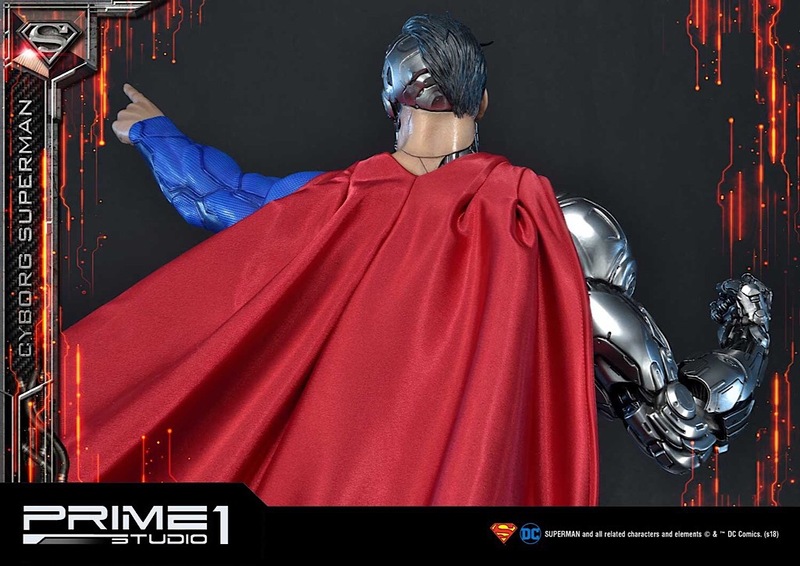 In which, highly detailed metallic upper body design part with fully enhanced attachments, a real fabric material cape, two interchangeable metallic right arms, one comes with power rings. 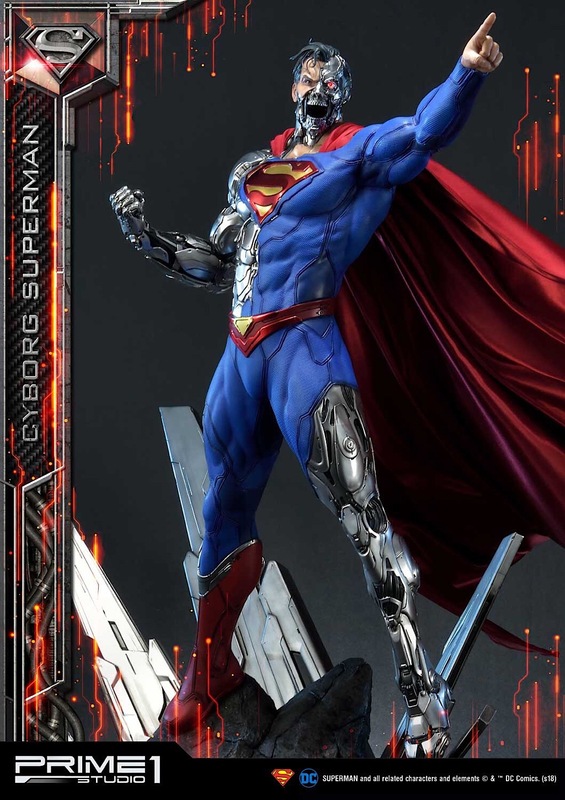 An additional switchable Zor-El's cybernetic arm and alternate Portrait is available only in EX version. 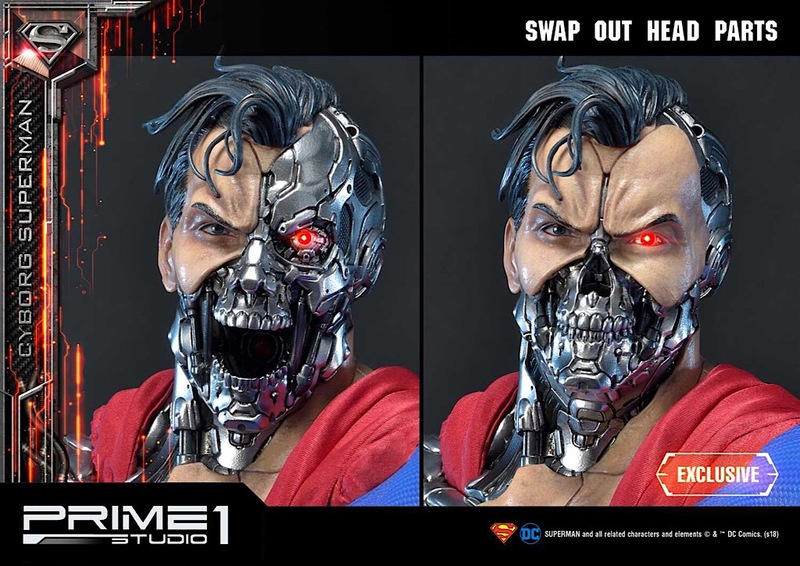 These switchable parts make it possible to give to fans several display options with ease. 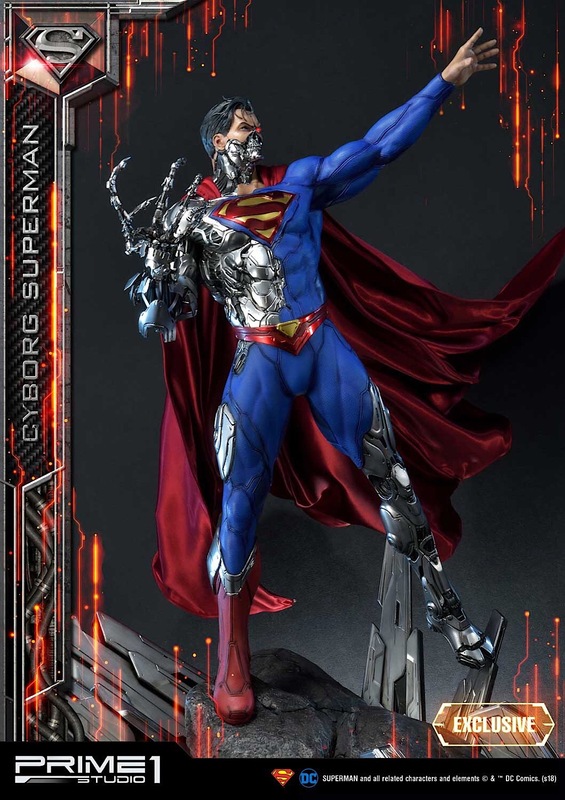 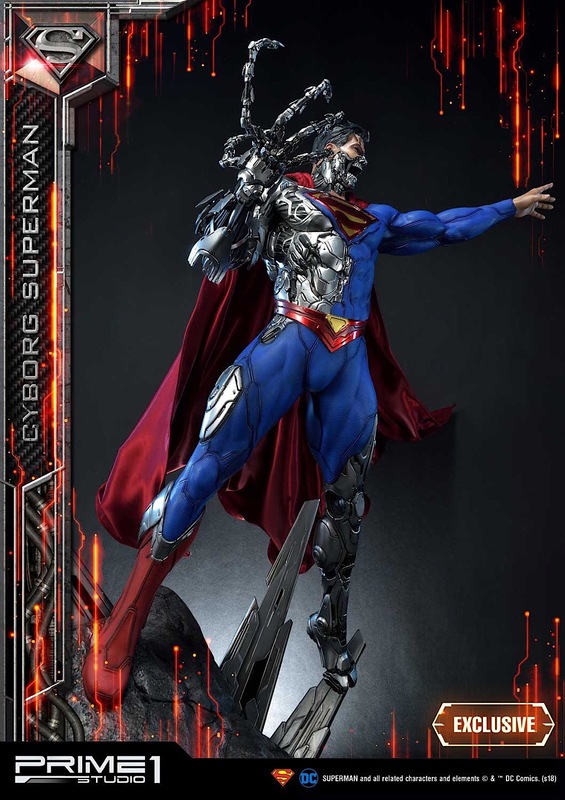 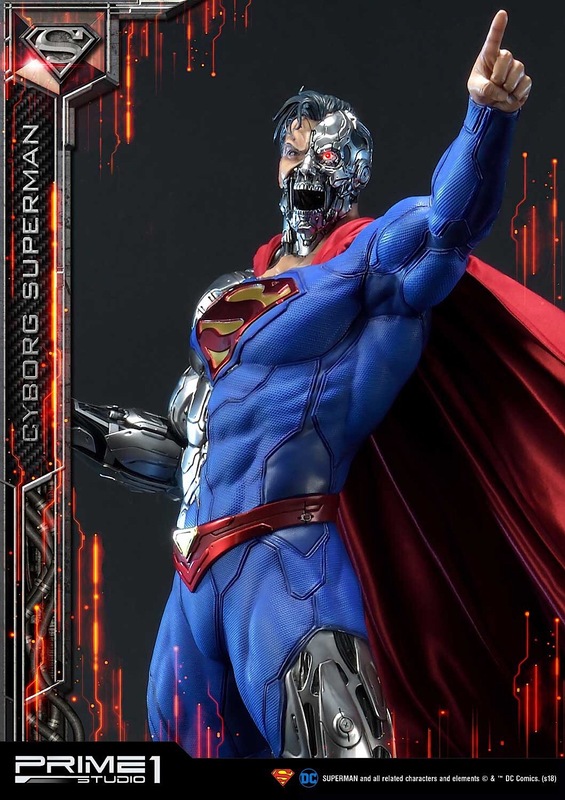 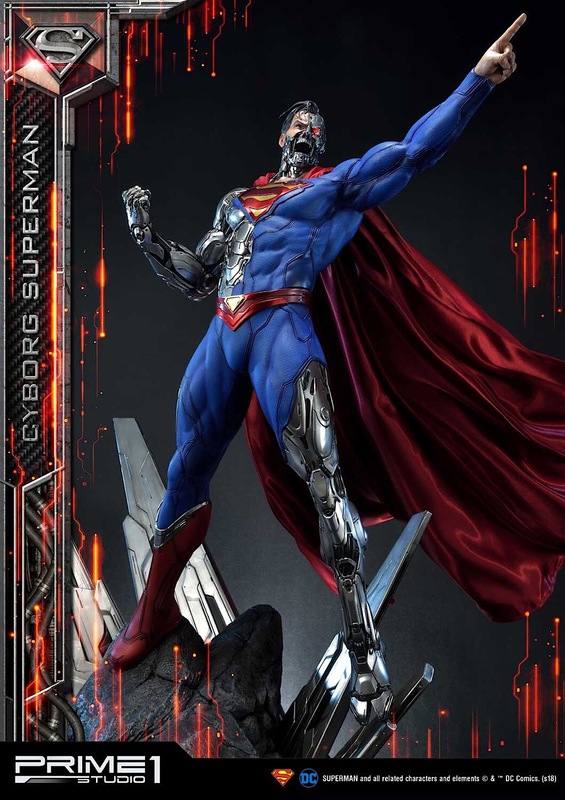 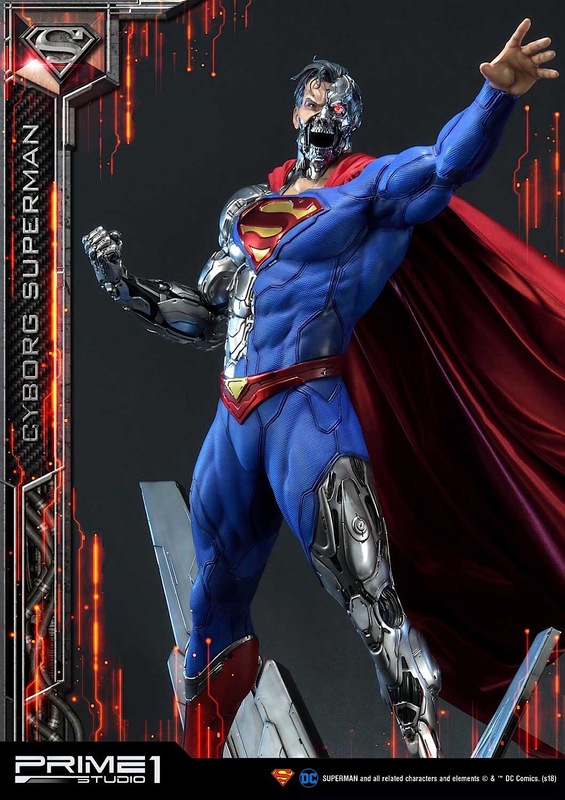 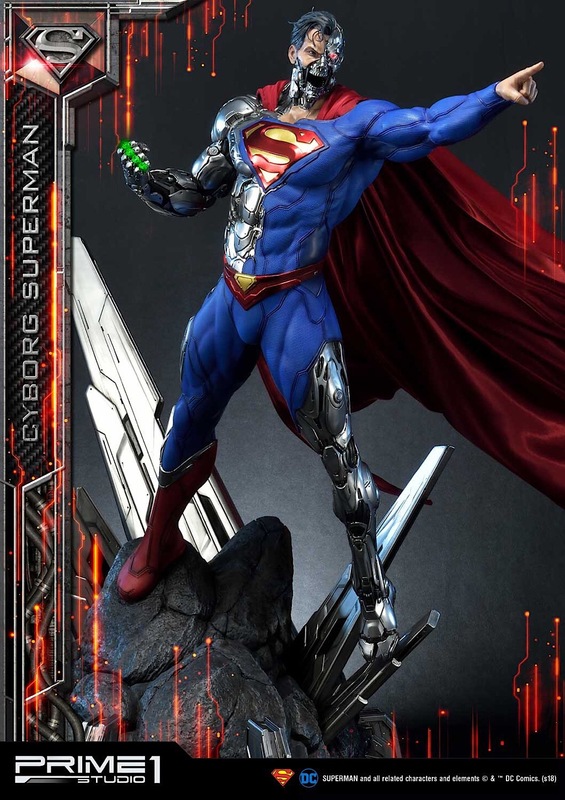 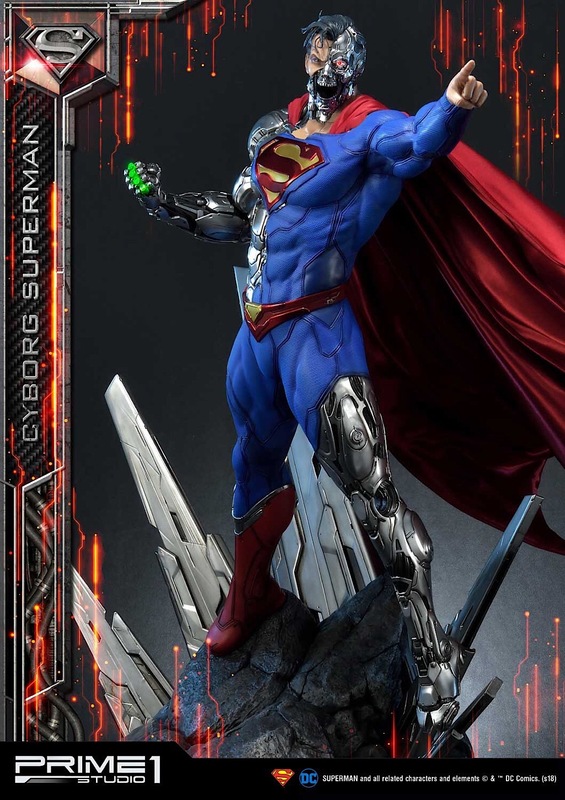 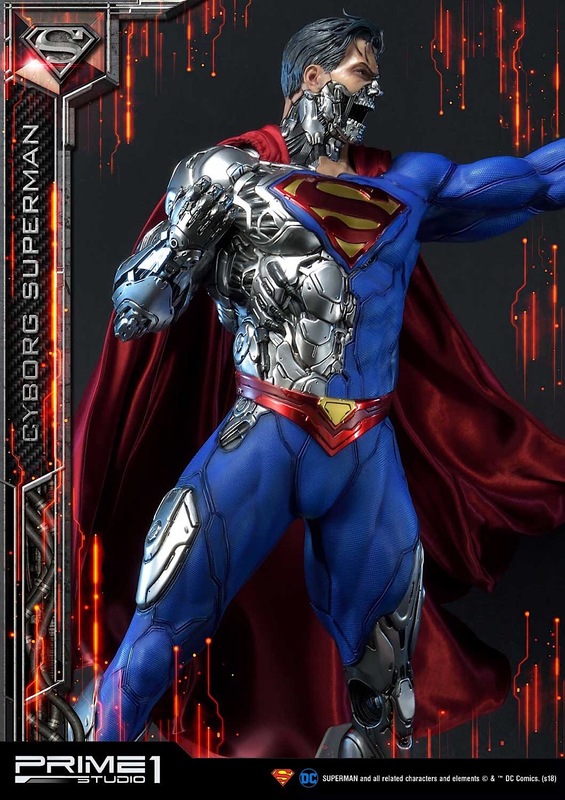 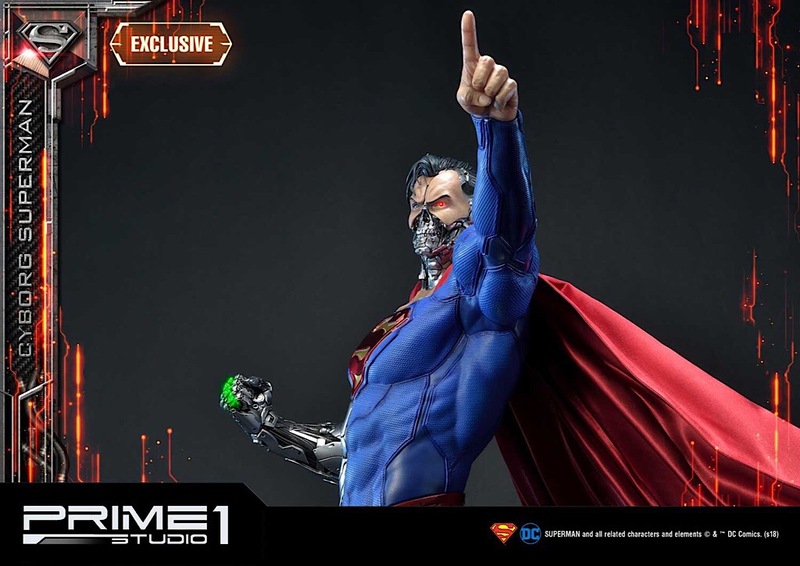 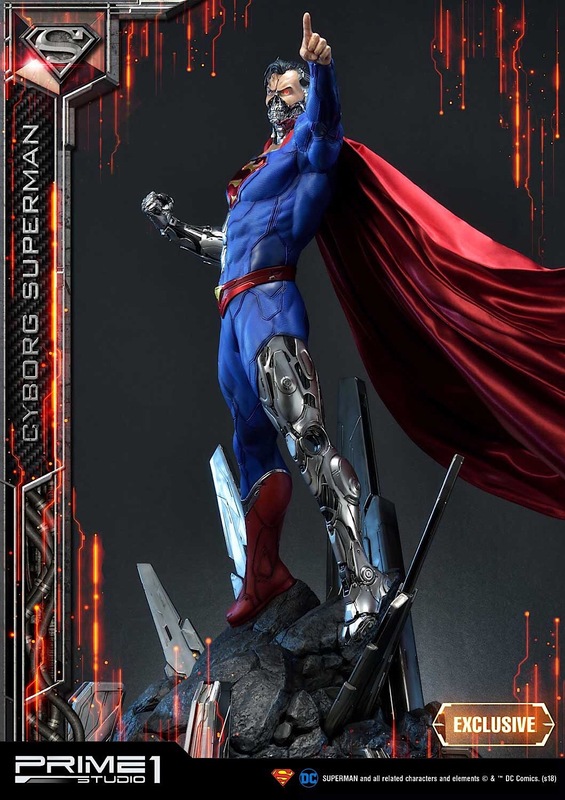 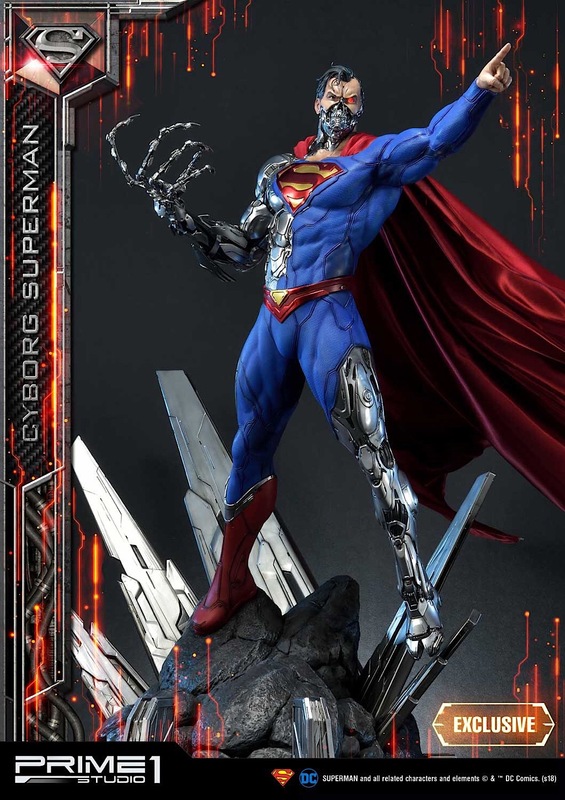 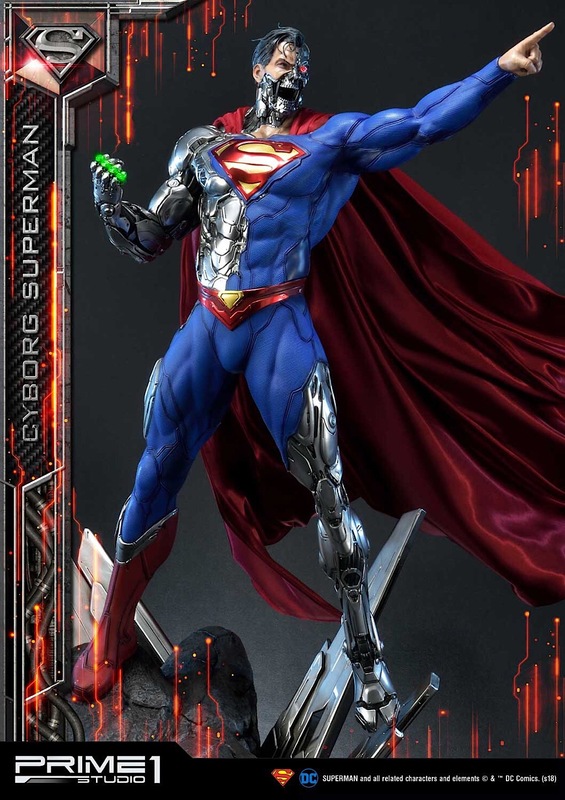 Superman Comic fans now's the chance to add this Cyborg Superman into your statue collection! 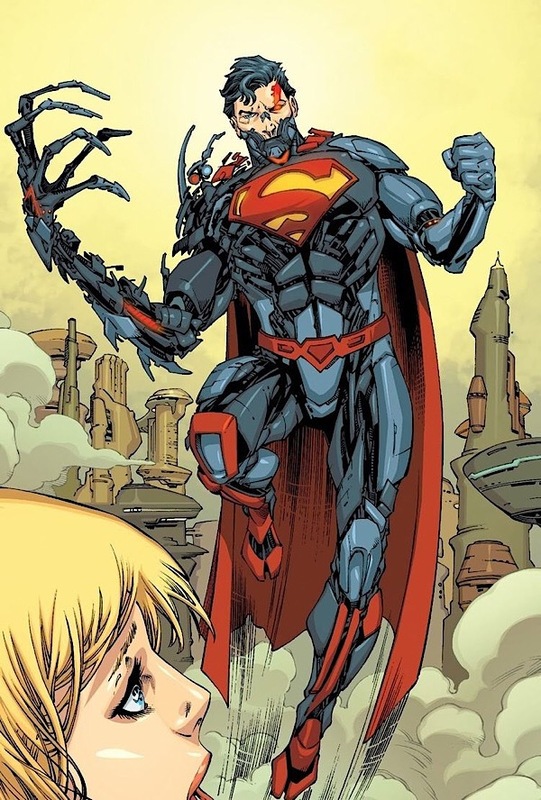 Ah, kommen jetzt die Hush Varianten? 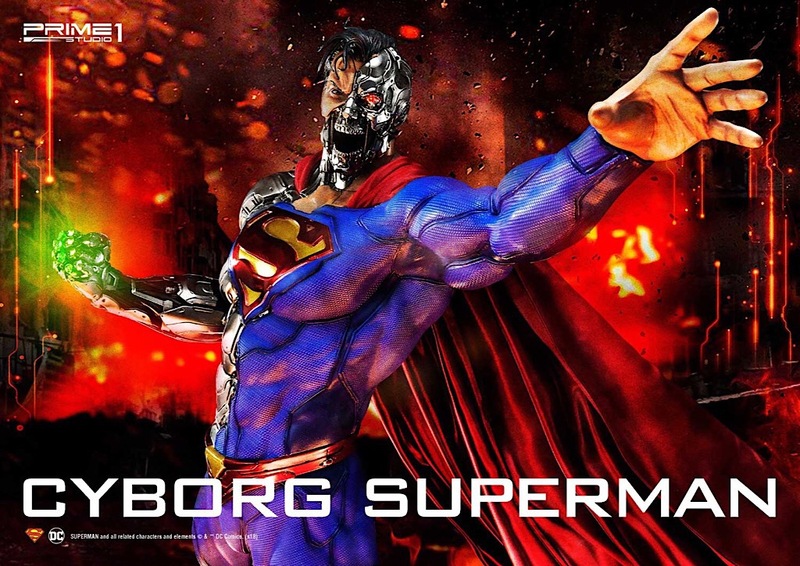 Wahnsinns Teil aber davon bekomme ich Alpträume. 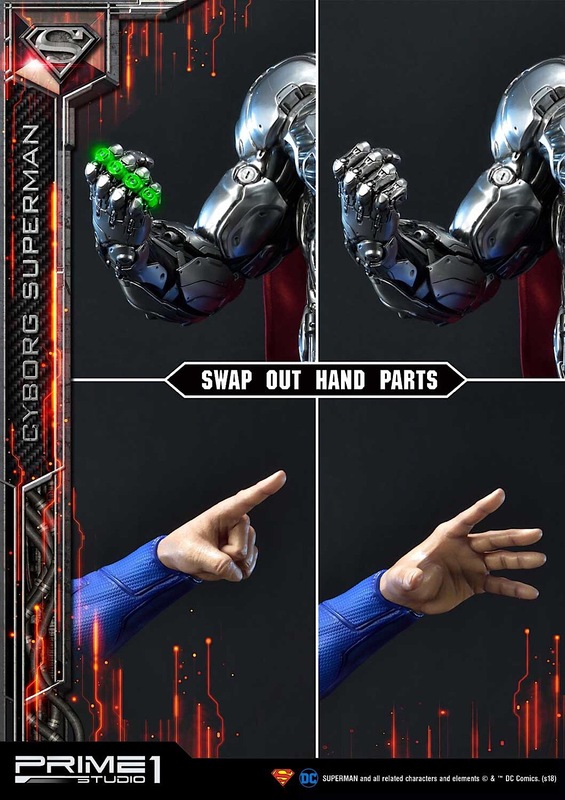 Uff.. das Switchout hat es in sich!